Why World War II offered Hollywood directors an escape into reality. There’s a brief scene just a few minutes into William Wyler’s acclaimed war film The Best Years of Our Lives (1946) when the three lead characters, all veterans returning home, hitch a ride on a repurposed bomber. They’ve just concluded their respective odysseys at the battlefront and are eager to get back to Boone City, a fictional stand-in for pretty much any Middle American town. The fittingly named Homer Parrish, a Navy veteran who lost both his hands in battle and now wears prosthetic hooks (and is played by Harold Russell, a nonprofessional actor who had suffered a similar injury in a training accident during the war), stands alongside Fred Derry (Dana Andrews), a heavily decorated Air Force pilot who flew bombers over Europe, and Al Stephenson (Fredric March), a former Army platoon sergeant in the Pacific. As they get acquainted, Fred asks Al how long it’s been since he’s been home. “Oh, a couple of centuries,” he tartly replies. A Story of Hollywood and the Second World War. Originally given the working title The Way Home, the film struck a particular chord not only with the millions of Americans who lined up at the box office to see it—making it one of the top-grossing pictures of its day—but also with its director, who had served an extended tour of duty in Europe in the Signal Corps, the Army’s communications unit. Like the characters on-screen, Wyler was still trying to reacclimate himself to civilian life; as he once put it, “I spent four years being one of those characters.” Wyler’s story—how he responded to his own experiences during the war and the wider impact they had on his film career—is just one of the lives chronicled in Mark Harris’s Five Came Back, his finely observed and wonderfully detailed portrait of Wyler, John Ford, George Stevens, John Huston and Frank Capra. Moving more or less chronologically from March 1938 to February 1947, Harris—whose last book, the widely celebrated Pictures at a Revolution, showed how the five films nominated for Best Picture in 1967 helped define the New Hollywood—follows his principals as they balance the competing demands of patriotism and professional commitment. Although Hollywood—in particular its major studios and chief executives—has come under heat recently for its supposed lack of proper engagement during World War II, the story that Harris tells, while not always heroic, demonstrates the kind of complex moral reckoning and personal sacrifice that, until now, has rarely been recognized with such sensitivity and depth. As Harris notes at the outset, the general mobilization of America’s film professionals was of considerable significance. “Fully one-third of the studios’ male workforce would eventually enlist or be drafted,” Harris writes. “But few of them would enter the war as these directors did, with the sense that in impending middle age, they had found themselves with a new world to conquer, a task that would test their abilities to help win the hearts and minds of the American people under the hardest imaginable circumstances, with the greatest possible stakes.” By the time Pearl Harbor was bombed, Ford had already joined the Navy (“I think it’s the thing to do at this time,” he explained, almost like one of the laconic cowboys that populate his westerns); he held the rank of lieutenant commander, and although he was the oldest of the lot—two years Capra’s senior and a good decade older than the others—he served the longest. Huston and Wyler were quick to follow suit, both joining the Signal Corps, while Capra and Stevens also offered their services to the Army. Although all five came to believe in the necessity of lending their talents to the war effort, they hadn’t always voiced their support for interventionism. While on a trip to the Soviet Union with screenwriter Robert Riskin in 1937, Capra remarked after witnessing a military procession in Red Square: “We Americans are a peaceful nation. We don’t intend to fight.” Yet only a few years later, Capra would helm one of the United States’ most effective series of training films aimed at galvanizing the fervor of young Army recruits, a series whose very title seems to have been conceived as a rejoinder to his earlier statement: Why We Fight. Thus, much like Jeff Smith, his celebrated protagonist of several years earlier, Mr. Capra went to Washington, where he worked out of a makeshift office in the city’s Archives Building, drawing on his vast network of Hollywood connections to assemble a team of inestimable talent. Screenwriters Julius and Philip Epstein, the twin wunderkinder who at the time were busy hashing out the script for Casablanca, temporarily walked out on their studio contract at Warner Brothers to lend their support to Capra. (The studio “was quite mad at us,” Julius later recalled. “But we certainly felt we had to go.”) The first installment of the series, Prelude to War, was ready for viewing by late spring 1942. The projects with which these five filmmakers became involved during the war sought in large measure to do just that, even if they were made explicitly in the service of the war effort. 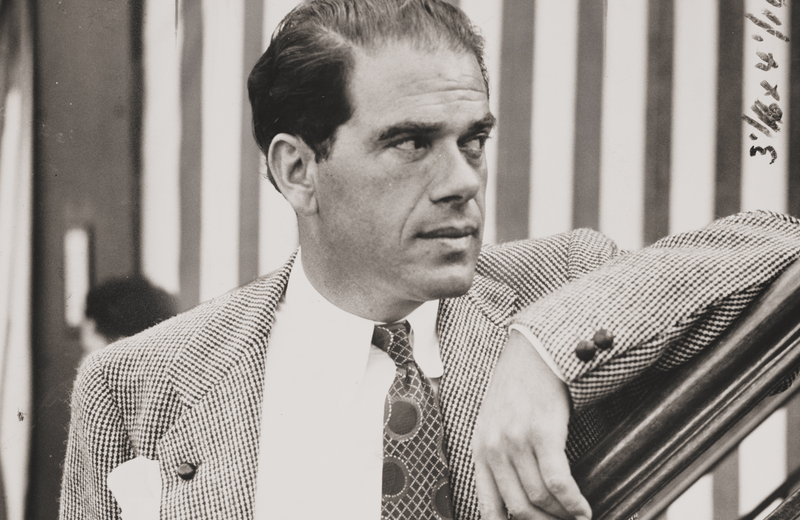 “Our films should tell the truth,” insisted Stevens, “and not pat us on the back.” While Capra worked from Washington, overseeing Why We Fight, Ford was in the Pacific documenting the Battle of Midway in a 1942 Technicolor short of the same name. Huston was stationed in the remote Aleutian Islands, where in collaboration with battlefield cameraman Jules Buck he made the propaganda film Report From the Aleutians (1943); a couple of years later, by then stationed in Italy, he and Buck would make The Battle of San Pietro (1945). Based in Europe, Stevens was on the beaches of Normandy during D-Day and later shot footage of the liberation of Dachau, while Wyler, born in Alsace to a German-Jewish family, had perhaps the deepest stake in the war. With relatives trapped in Europe, he seemed especially cut out to direct the documentary The Memphis Belle: A Story of a Flying Fortress (1944), one of the most gripping films to depict the relentless bombings of Germany. “Life’s a journey,” wrote Stevens in his war diary, “and it’s always most interesting when you’re not sure where you’re going.” Even before the war, he’d suffered from chronic asthma, something he managed to hide from the Army during his physical, and while in Normandy he was bedridden for days on end. Like the others, he also had occasional bouts of homesickness, painting the words “Toluca Lake”—the San Fernando Valley neighborhood in which he and his family resided—on his Army jeep. During his time in Normandy, North Africa and finally Germany, Stevens shot many reels of color footage capturing the devastating scenes he’d witnessed, the canisters of which he carefully labeled (“Eyewitness at Dachau,” for example, or “Atrocity”) and, after the war, kept sealed up, like bottled memories, in a storage cage in North Hollywood. According to Harris, Stevens retrieved the reels only once during his lifetime, when he was in preproduction on The Diary of Anne Frank (1959)—and even then he hastily stopped the projector within a minute of starting. Noah IsenbergNoah Isenberg is the author, most recently, of We’ll Always Have Casablanca. He directs the screen-studies program at the New School.